Pashley Manor Sculpture Exhibition East Sussex. 2nd Apr-30th Sept.
Royal Society of British Artists Annual Exhibition Mall Galleries, London. March. Everard Read Gallery Johannesburg, South Africa. Exhibiting selected pieces all year. The Kowalsky Gallery New to DACS exhibition, London. 4th Feb-24th Apr. Ackermann & Johnson Knightsbridge, London. Exhibiting selected pieces all year. 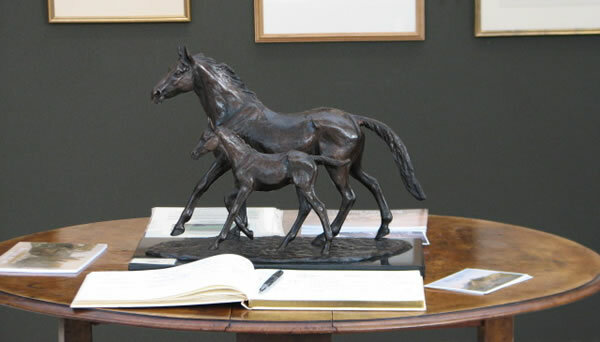 The Society of Equestrian Artists Annual Exhibition The Mall Galleries, London. 28th Jul-2nd Aug.
Society of Wildlife Artists Annual Exhibition Mall Galleries, London, 23rd Sept-4th Oct.
Art for Youth London The Mall Galleries, London. 7th- 8th Oct. Purchase tickets for private views 7th & 8th Oct, contact Ann Mavroleon artforyouth@ukyouth.org. Rountree Fine Art London, Winter Art and Antiques Fair at Olympia and various mixed shows. Obsidian Art Bucks, "Out of Africa"